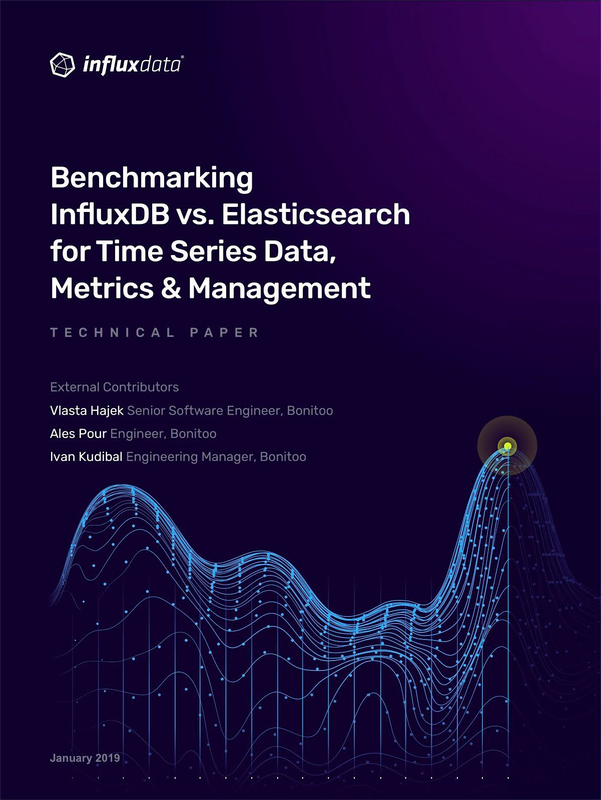 In this technical paper, we’ll compare the performance and features of InfluxDB 1.7.2 vs. Elasticsearch 6.5.0 for common time series workloads, specifically looking at the rates of data ingestion, on-disk data compression, and query performance. This data should prove valuable to developers and architects evaluating the suitability of these technologies for their use case. Our goal with this benchmarking test was to create a consistent, up-to-date comparison that reflects the latest developments in both InfluxDB and Elasticsearch. Periodically, we’ll re-run these benchmarks and update this document with our findings. All of the code for these benchmarks are available on GitHub. Feel free to open up issues or pull requests on that repository or if you have any questions, comments, or suggestions.